Kimi Raikkonen, Ferrari. And the Sharkfin..., originally uploaded by fox2mike. It was great fun walking the track with teemus on thursday and then Friday, Saturday and Sunday just flew by with loads of F1 and loads more of Zouk. I'm sure the organizers will iron out the kinks for the next edition and it will be even more fun overall. 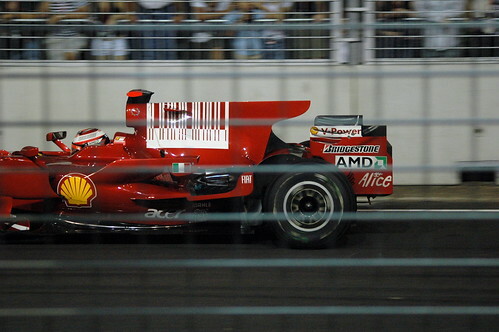 Way to go Singapore, you've given F1 a truly wonderful twist in the tale. Awesome Dude !!! I was waiting for this one for sooooo long... and finally I missed it !! damn !!! Error running style: S2TIMEOUT: Timeout: 4, URL: fox2mike.livejournal.com/169692.html at /home/lj/src/s2/S2.pm line 531.